The Xerox WorkCentre 7556 Multifunction Printer is designed to help you stay ahead of your day with your tasks. With small businesses, it is essential to spend money on things that wills save them money. A better copier is just the thing that you’ll need. This Xerox WorkCentre will save you money because you will no longer have to work longer days or outsource work you can’t complete. Deadlines will always be there. Get this Xerox copier to help you stay ahead of them. It is important that you have an MFP that can handle your copy, print, scan and fax needs. The most important tool for any business is information and files. 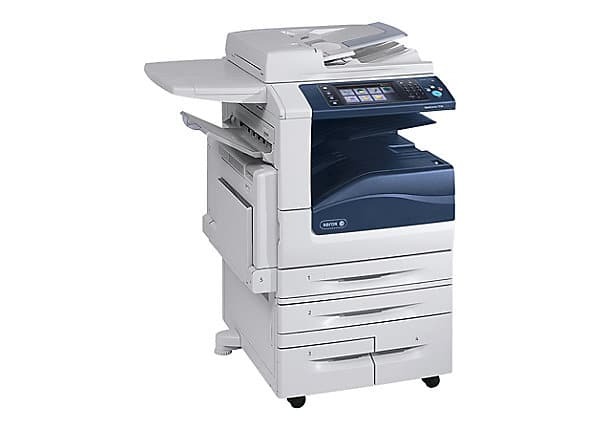 This copier is designed with features that help safeguard all of your important documents.